The tower we see to the left of the mosqe was meant to be the highest in the country when building was started in 2003. However, in an article in the Hürriyet of 11-12 April 2015 I read "27 milyon çöpe": 27 million with the trash. 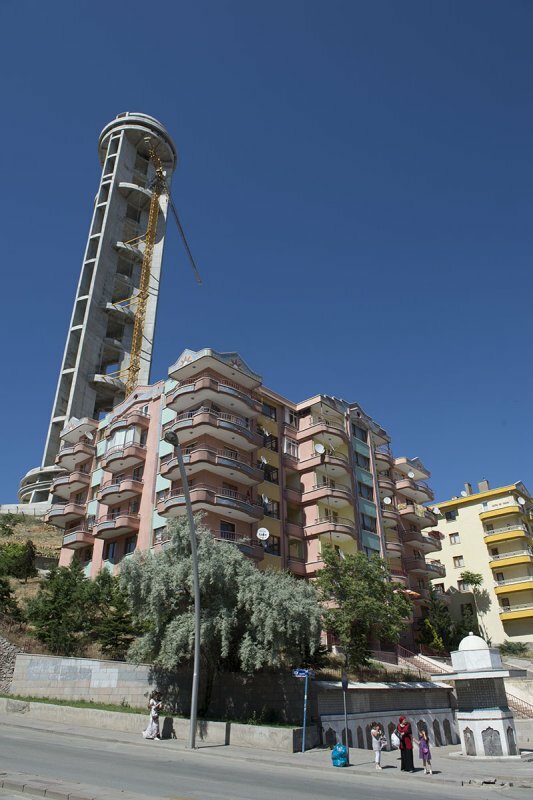 The tower, which was to be 144 meters high, will be demolished. I always thought it was an eyesore, but then I never saw it in its full glory. Which it will never reach.